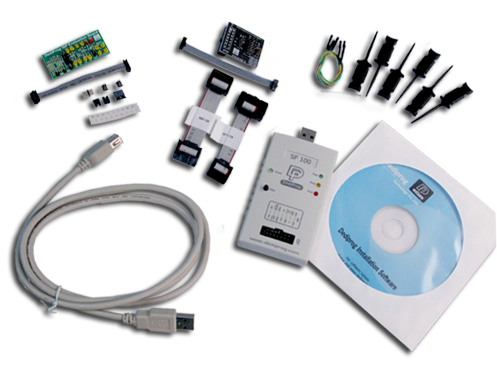 Update your SPI Flash soldered on your application board by using our dedicated programmers: SF100 and SF100+. 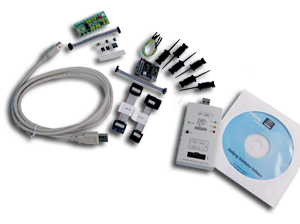 When connected to the application board, the SF100 programmer can control the SPI bus to read or update the Serial Flash content in a very short time. In System Programming method will offer you and your customers, the highest flexibility and performances for the update of the Serial Flash soldered on board. It will for sure be highly beneficial for development, debugging, production and repairing allowing to reduce the time to market. 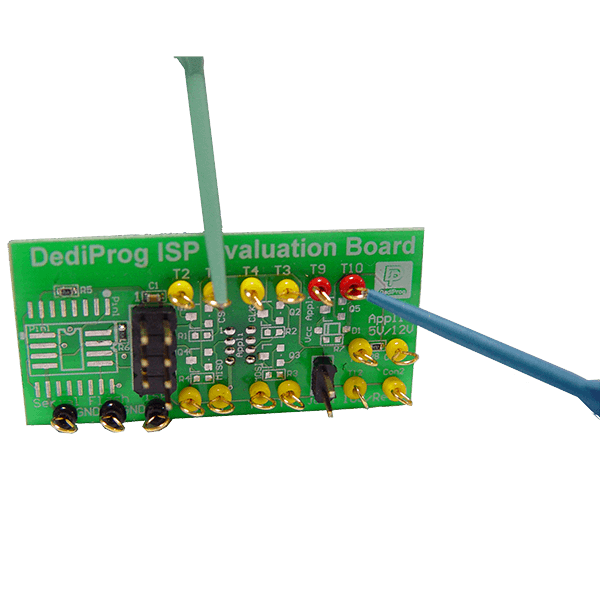 The ISP Evaluation board can be soldered in your application on your Serial Flash footprint. Your application and the SF100 programmer will then work on the "ISP evaluation Board Serial flash". 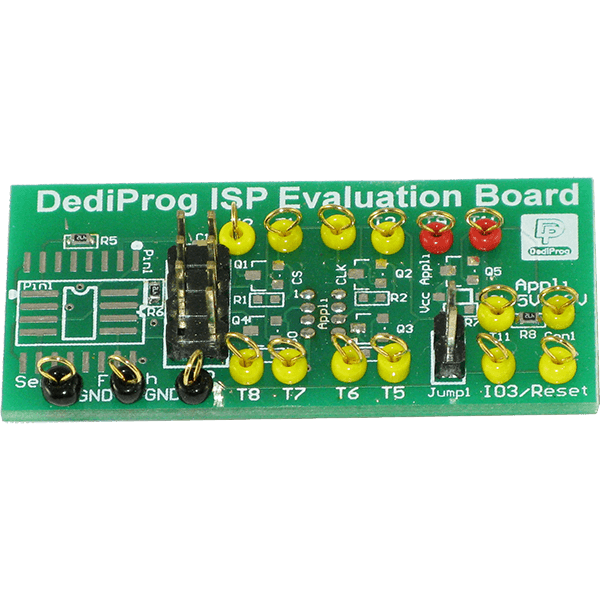 The ISP evaluation board is equipped to protect your application during the trials, to test all the different ISP methods and measure the inter-activity with your application and controller. Once the method is validated, you will be able to take benefit of the ISP update flexibility on your current or future application boards. You can easily use our ISP Evaluation tool to check if your current controller, Chipset or ASIC is tolerant of the ISP method. You can also ensure that your next chip generation will be compatible with the ISP method. When validated, this ISP feature will offer a significant advantage to your products for the benefits of your customers during development, production, and after-sale service. You can follow the spec to check if the controller you are using and if your application hardware is compatible with the ISP method. Your company and your customers will benefit from this high flexibility of code update and will ensure the shortest time to market.